For all subscriptions, payment will be charged to your iTunes Account only after confirmation of purchase. Your account will be charged for renewal within 24-hours prior to the end of the current period with no change in price. Your subscriptions may be managed and auto-renewal may be turned off by going to your iTunes Account Settings after purchase. Santa doesn’t know what you want unless you hit the mall, sit on his lap, and read him your list. Santa only gives you presents if you are nice. 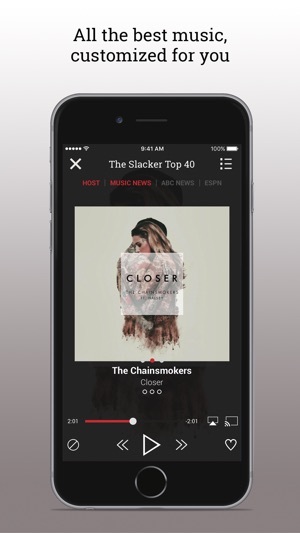 Slacker knows what you want, and it’s on the HOME page: see artists we recommend based on your listening behavior, then tap on an artist circle to learn more or start a station. 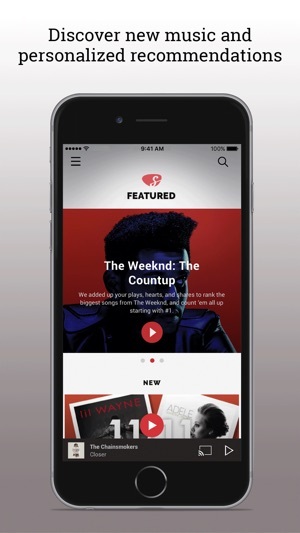 Slacker gives you music recommendations even if you’re naughty (actually…ESPECIALLY if you’re naughty). Also: It’s a Christmas miracle! 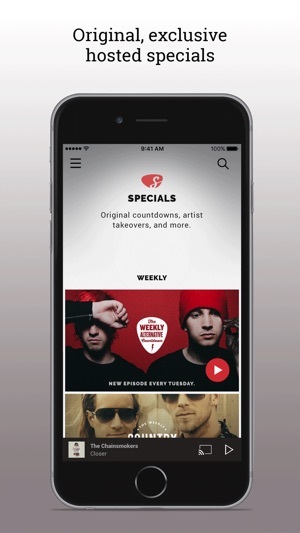 Some Premium users were unable to listen Offline in airplane mode, but that’s been fixed. Some other users were unable to add some songs to new playlists that were already added to other playlists, and that’s been fixed, too. Merry, merry. I love Slacker. I actually used it religiously about 10 years ago. It has always done a great job of mixing old and new with my custom stations. I left Slacker long ago when they made all the huge interface changes. I subscribed to Pandora and never really looked back. Fast forward to this week. I decide to see what’s going on with Slacker. Plus I wanted to see if my old stations had any gems I forgot about. I downloaded the app and connected it to my car stereo. The first thing I noticed was the sound quality was way better. Everything sounded more full than my pandora music. 2nd is that unlike pandora, my phone didn’t got into “accessory mode” making it hard to control it the way I want. 3rd was the interface looks great! Much better than the old blue colors of pandora. My only thing with it is why is it so hard to get to my custom stations? I couldn’t care less about the premade stations, I want to see a list of mine the moment I open the app. Instead I have to go to my music, then scroll around until I find custom stations. It should either be there from the get go or one tap away. Another bonus that I never thought I would like... djs and little snippets of news in between songs. They are short and informative and really make it feel like a premium radio station. Remember the old XM radio? It’s similar to that. Now XM has mindless bla bla bla in between songs. This is different and they nailed it. Like many, I left Pandora a few years ago in search of something better. I was tired of listening to the same old things, the price just to remove ads, and those limited skips. 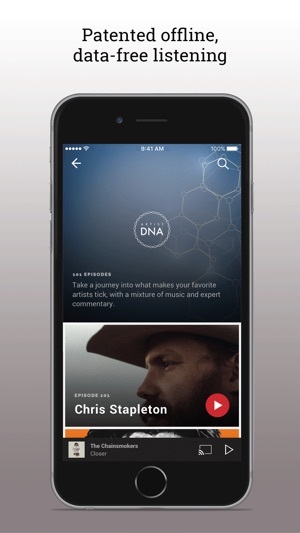 I finally found Slacker, 3.99 a month for Plus subscription, featuring unlimited skips, no ads, and the BEST thing was offline listening for work travel or when reception was poor. It wasn’t uncommon to have minor issues with the app, but those were mostly just mildly annoying and often times addressed in the next update. Today I go to listen to my offline playlist as usual and was given a notification that I would have to upgrade to a Premium subscription to enjoy offline listening. What?? 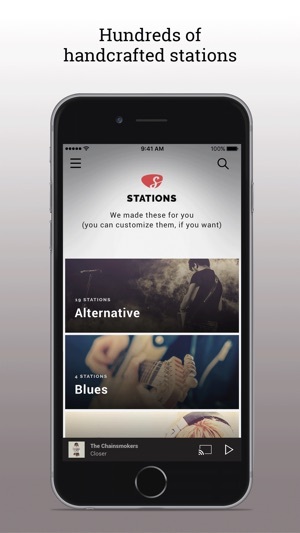 I did a bit of digging and realized that the Plus subscription has removed offline listening from its list of perks. Really?? It’s worse that I wasn’t even given a warning or a quick email/notification. They just changed it. $4 a month was the perfect sweet spot for what I got, but I don’t think it’s worth $10 per month. I find myself a bit distrustful of the way they went about it. I wouldn’t have been terribly upset if they increased their rate $1-2 per month with notice but to jump $6 a month? No way. Now I get to start doing some research again into switching music apps.